We love going to Cockatoo Island and thought it would be fun to have a crane-crawl. 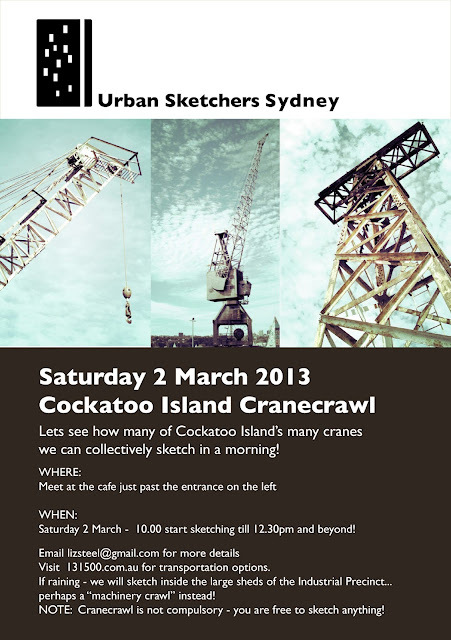 There are many many cranes on the island - let see how many (different) ones we can discover and sketch. Of course you are free to do your own thing and sketch whatever takes your fancy.